Durkheim is one of the founding fathers of modern sociology and a key figure in the development of social theory. And yet today his work is often misunderstood, since it is commonly viewed through the lens of later authors who used his writings to illustrate certain tendencies in social thought. 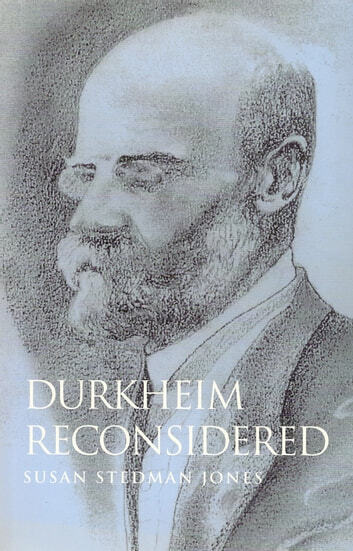 Durkheim Reconsidered challenges the common views of Durkheim and offers a fresh and much-needed reappraisal of his ideas. Stedman Jones dismantles the interpretations of Durkheim that remain widespread in Anglo-American sociology and then examines afresh his major works, placing them in their historical and political context. She emphasizes Durkheim's debt to the socialist and republican thought of his contemporaries - and especially to Renouvier who, she argues, had a profound influence on Durkheim's approach. This book will be recognised as a major reinterpretation of the work of one of the most important figures in the history of sociology and social thought. It will be of great interest to scholars and students in sociology, anthropology and related disciplines.